A thank-you message from the Royal British Legion to those who died during the First World War will be be displayed on more than 100 outside screens on Armistice Day. The space on the digital out-of-home screens has been donated to the Legion through a deal brokered by its media agency, VCCP Media, and six OOH media companies. The message from the charity, which handles the annual Poppy Appeal, recognises the sacrifices made and legacy left by the WWI generation. It will be shown during the two minutes of silence at 11am on Remembrance Sunday. 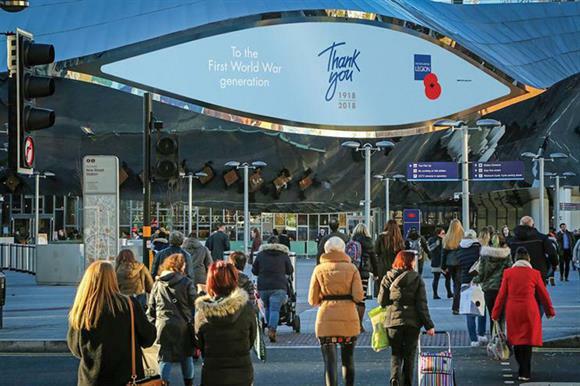 Catherine Davies, head of remembrance at The Royal British Legion, said: "We are very grateful to VCCP Media and the outdoor companies for helping us to thank the entire First World War generation who served, sacrificed and changed our world." 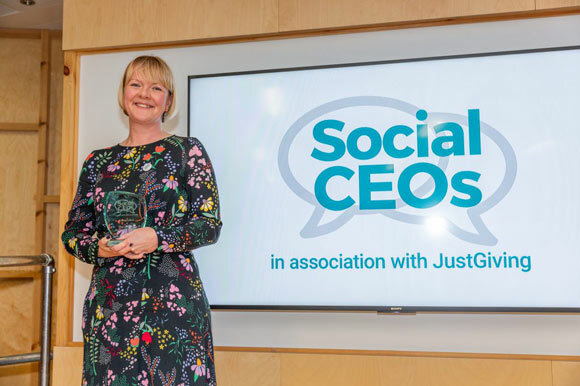 Kate Collins, chief executive of Teenage Cancer Trust, has been named overall winner in the 2018 Social CEO Awards. The awards were established six years ago by Zoe Amar and Matt Collins, who both run digital marketing agencies working with charities, and recognise those in the sector whose social media activity has real impact on the work of their organisations. Collins led the list of 25 winners, 14 of whom were women and which continued last year’s trend of more women than men on the list. Fifteen were new entrants and the organisers said that only one chief executive has won a place on the list each year, demonstrating the competitive social landscape in the sector. This year 132 people were nominated for the awards, up from 101 in 2017. November is World Vegan Month and to mark the occasion, The Vegan Society has launched an app to support people considering turning vegan. The free VeGuide app, which is available on Android and iOS devices, features an introduction to the vegan lifestyle through a combination of interactive content with shopping, nutrition and recipe information. For people trying to turn vegan they will be encouraged to stay on track with facts and motivational quotes, specifically tailored to the reasons why they said they wanted to change their lifestyle. Danielle Saunders, digital content officer at The Vegan Society, said the new app was designed to target younger people who may be ‘vegan-curious’. "VeGuide was designed to provide a platform that’s more suited to the younger audience, which our research showed are the most likely age group to have an interest in veganism," she said. "We feel the development of VeGuide marks a new phase for The Vegan Society and a new way of embracing veganism for the general public."